Located less than 2 miles from both the town centre and the train station and less than 40 miles from the picturesque Snowdonia National Park. The hotel is 2 miles from Llandudno Rail Station and the Llandudno Ski and Snowboard Centre is less than 3 miles away. Llandudno Superbowl, a 12 lane ten pin bowling alley can be reached in 5 minutes by car. There is free parking and a Brewers Fayre restaurant on site. Book direct for the best Premier Inn Llandudno deals. 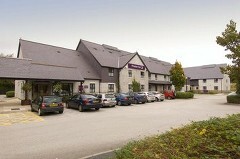 Just over 3 miles from Llandudno town centre and within easy reach of the A55, J19 this Premier Inn offers free on-site car parking and a Brewers Fayre restaurant. Local tourist attractions include the Colwyn Bay Zoo, Colwyn Castle and Bodelwyddan Castle. 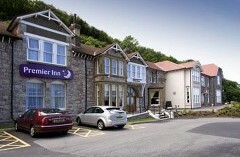 Book direct for the best Premier Inn Llandudno deals.